You will love our Vanity and Sink Upgrades - Book Now - Click On Image! We have Upgraded our Entrance and Check-In Area - Book Now - Click On Image! Workout in our upgraded Fitness Room - Book Now - Click On Image! Welcome To Baymont Inn & Suites in Nashville, TN - Book Now - Click On Image! You will love our new Upgraded Entrance & Patio - Book Now - Click On Image! Breakfast at Baymont Inn & Suites - Nashville includes a Free Continental Breakfast - Book Now - Click On Image! 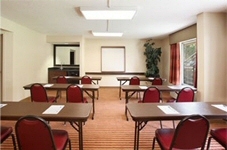 Our on-site meeting room and business center to get work done on the road - Book Now - Click On Image! Our clean and comfortable Double Rooms were designed with your comfort in mind - Book Now - Click On Image! King Bed Rooms at Baymont Inn & Suites - Book Now - Click On Image! Only 7 miles from Baymont Inn & Suites Nashville Airport / Briley Parkway - Book Now - Click On Image! Enjoy Our Swimming Pool at Baymont Inn and Suites - Book Now - Click On Image! Baymont Inn & Suites Nashville Airport / Briley combines hometown charm with Southern hospitality. Conveniently located off Interstate 40 and just two miles from Nashville International Airport, our Nashville hotel near the Grand Ole Opry is only six miles from world-class attractions in downtown Nashville. 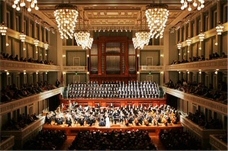 Downtown Nashville offers the Country Music Hall of Fame and Museum, Ryman Auditorium, Frist Center for the Visual Arts, Schermerhorn Symphony Center, and several other must-see attractions. If you're interested in sports, Nashville is home to the Tennessee Titans, Nashville Predators, and the Nashville Sounds.